These herbs are also superfoods, and are sooo beneficial when we’re a little under the weather, whether that be physically or mentally. Siberian Ginseng is a stress combatter! Ginseng is one of the oldest herbal remedies, used as an energising tonic for thousands of years. It’s a rejuvinating herb that works by nourishing the blood and helping the body to adapt to stress. In clinical practice, I have found this particular ginseng beneficial for patients during or after illness, and just after surgery for its restorative and anti-infection qualities. It also helps to alleviate jet lag. Drink as a tea, 1 cup daily or in tincture form. Astragalus is known as an adaptogenic herb, because it works by modulating the immune system. It has traditionally been used as a natural remedy and in cooking in traditional Chinese Culture. Recent studies have also shown that Astragalus has the possibility to protect DNA and increase longevity. Nettle – So many health benefits. Nettle is one of those superfood herbs that should not be overlooked, it can be used for many different ailments. 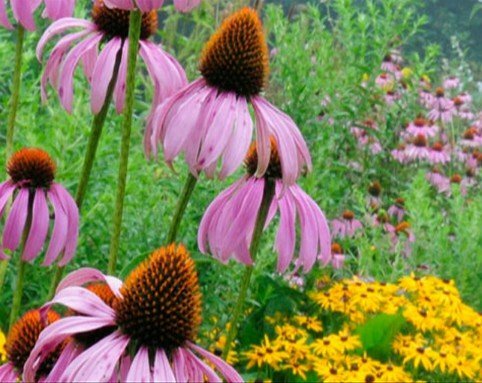 It cleanses the liver and bowel, and helps keep infections at bay. Many farmers markets now sell nettle. If you live in a location near a field that has not been contamnated by roads or other pollutants, then picking your own and adding to salads or to a cup of hot water, can give you that boost of vitamins an dminerals. Pick the nettle leves in spring when nutrients are particularly high in the plant. Aloe vera can be used with abdominal pains and bloating as well as gases to help restore normal functioning. Mix 1 tablespoon of juice with water or take directly off the spoon. Its also a gentle liver cleanser to help the liver cells regenerate. 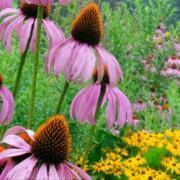 Now a household name, Echinacea has become a great rescue remedy. Combined with astragalus, it can lessen congestion and swelling in the lymphatic system, as it moves the fluid inside the body through the lymh system. The lymph runs parallel to the bloodstream and carries toxins to the outside for elimination. Not recommended to be taken for a long period of time, but 2-3 weeks can really help.